On Tuesday, media reported armored vehicles moving toward Harare, Zimbabwe’s capital, but the country's military has said that it was mobilizing against "criminals." In turn, the ruling party said that not a coup, but a "bloodless transition" of power is underway. President Robert Mugabe is reportedly under heavy guard. 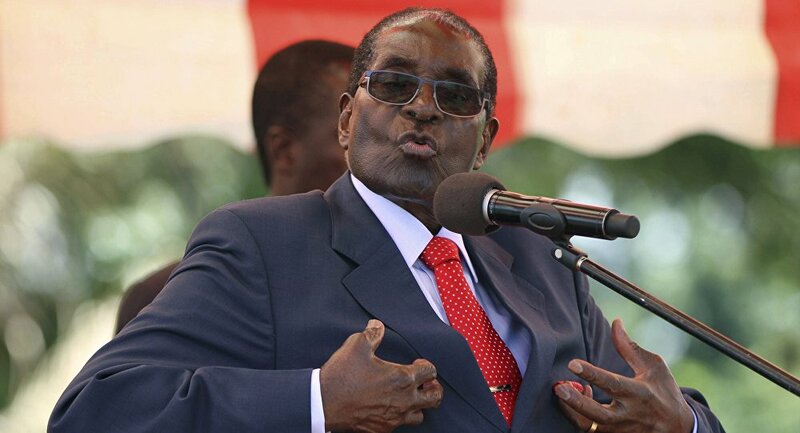 At 93, Robert Mugabe is the oldest acting head of state in the world. In 1994, Robert Mugabe was knighted by Queen of England. Elizabeth II awarded him a Grand Knight Cross in the Order of the Bath for his role in the fight against apartheid. This entitled him to use the letters KCB (Knight Commander of the Order of the Bath), but not the title "sir." In 2008, his knighthood was revoked. Mugabe has a total of seven degrees, with the first received after graduating from South Africa’s University of Forth Hare with a bachelor of arts. He did his degrees by distance learning, including in administration, education and science. In 2007, Mugabe became the first international figure to be stripped of an honorary degree by a British university, when the University of Edinburgh withdrew the degree awarded to him in 1984. Mugabe and his second wife Grace Marufu have three children. The couple’s third child, Chatunga, was born in 1997 when Mugabe was 73. In 2015, he was awarded the Confucius Peace Prize in China for strongly committing himself to "constructing his nation's political and economic order, while strongly supporting pan-Africanism and African independence." The award is often dubbed the Chinese equivalent of the Nobel Peace Prize.